This super easy berry crisp is loaded with sweet berries and topped with generous amount of almond flour and nut crumble topping. 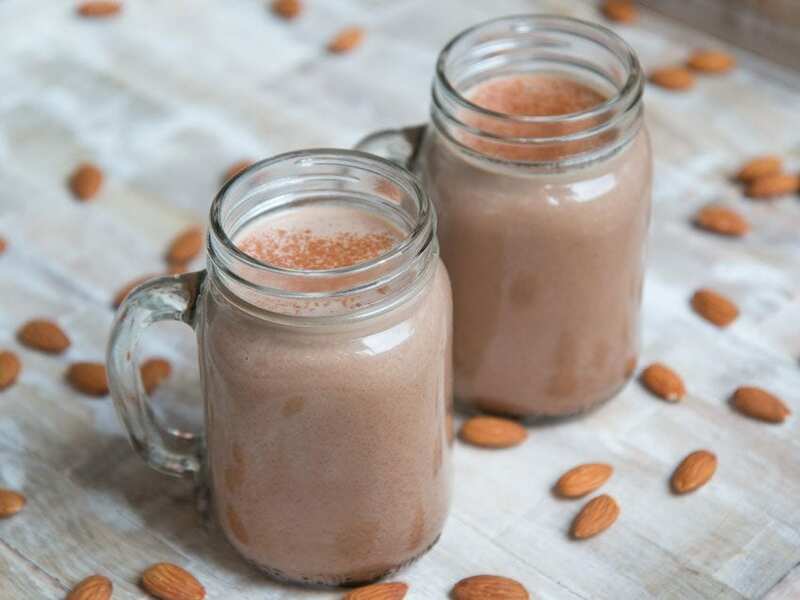 The recipe is gluten and dairy free along with being vegan and paleo. Dessi has been eager to share this berry crispy recipe with you guys ever since she perfected it the other week. The recipe is gluten and dairy free, paleo, vegan, and tastes as good as any berry crispy you have ever had. 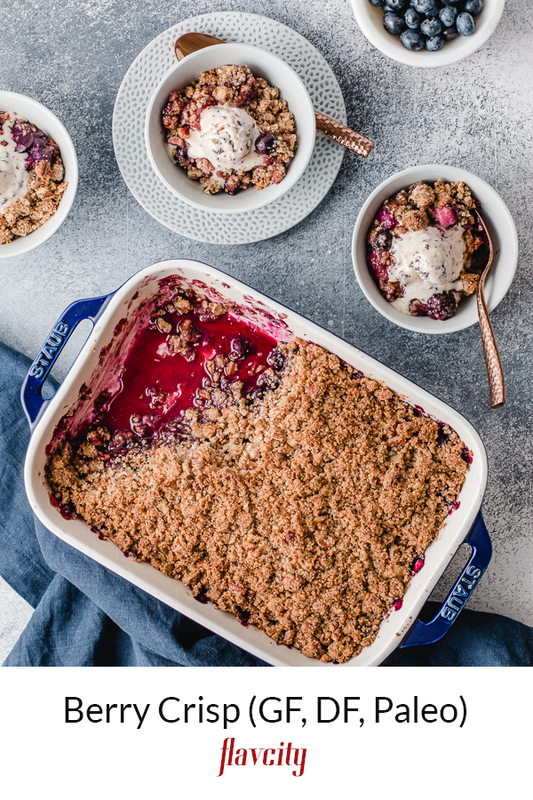 What’s the best part of a berry crisp? The crisp, of course! For some reason there’s never enough of it, but rest assured, with this recipe you don’t have to double it. Dessi made sure there’s plenty of it! 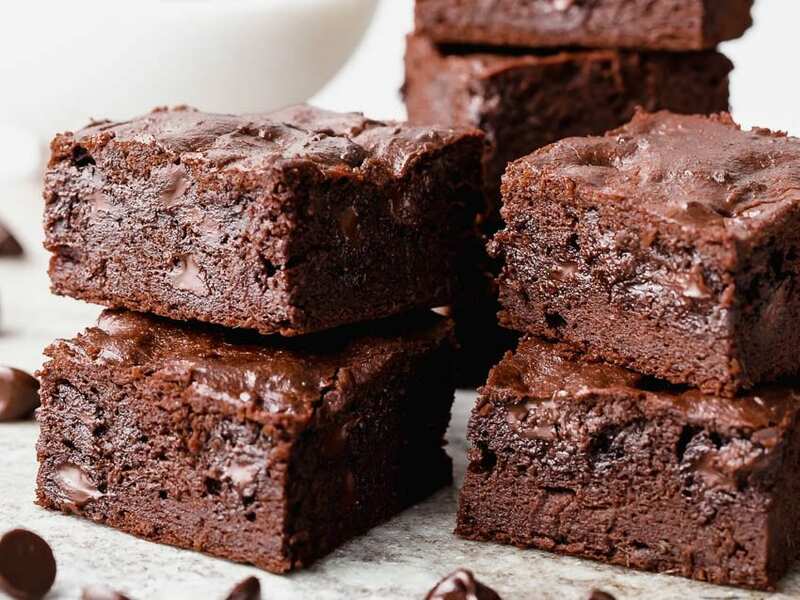 Make sure to check out more of Dessi’s dessert recipes, like her new chocolate date brownies. How To Make A Berry Crisp? The first thing you will need to do is find any fresh berries that is in season, such as blueberries, strawberries, blackberries, or raspberries. Combine 5 cups of mixed fresh berries with agave nectar, tapioca starch, lemon zest, and lemon juice. 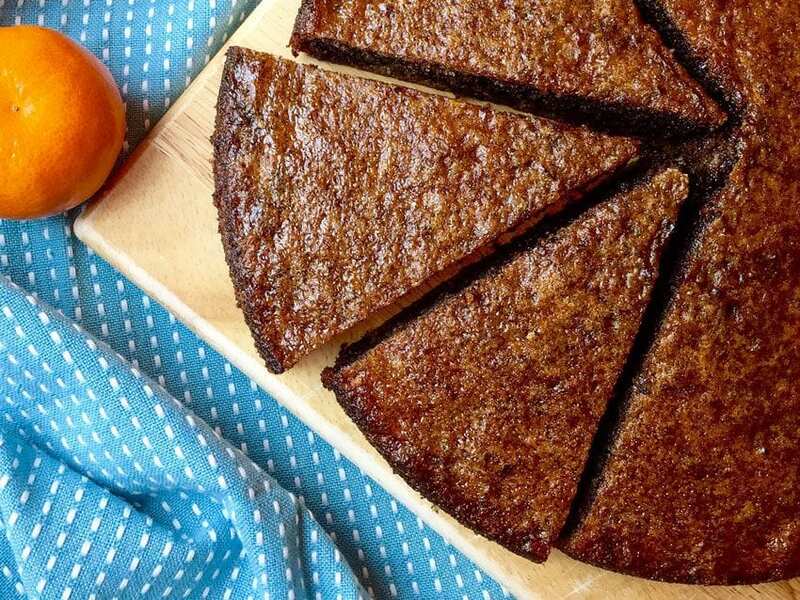 What makes this recipes unique is that we used tapioca to make it gluten free and agave instead of white sugar to make it paleo. You can substitute the tapioca starch with arrowroot starch, and you can substitute the agave nectar with maple syrup. For the topping, combine almond flour, coconut sugar, chopped pecans, coconut flakes, virgin coconut oil, salt, and vanilla paste in a large bowl. Use your hands to mix everything well and incorporate the coconut oil. I like to buy almond flour from Costco, the price is unbeatable. Like I said before, this recipe is all about the topping, so you will have lots of it to scatter on top of the berry filling. Bake in a 350F oven for 40 minutes, or until the topping is deep golden brown. Let cool down for 10 minutes before serving. 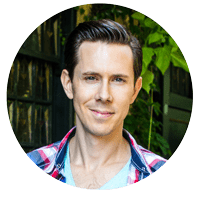 How To Reheat Berry Crisp? 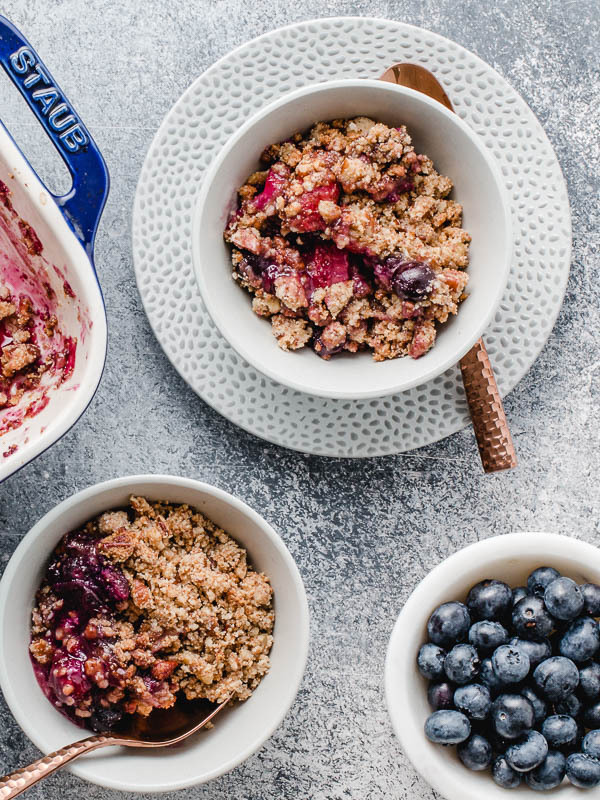 Luckily berry crisp is easy to reheat and the flavor actually gets better the next day! Just reheat in a 350F oven for 7 minutes, or until warmed through. If using a microwave, make sure the heat is not too hot, and heat in 30 second increments. How To Store Berry Crisp? 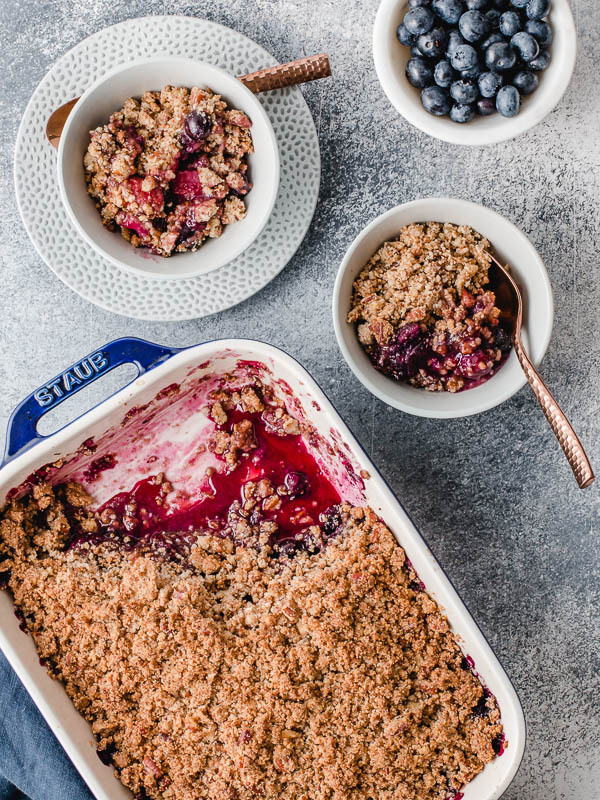 You can store an uncooked berry crisp in the fridge for up to 6 hours, then bake in the oven. 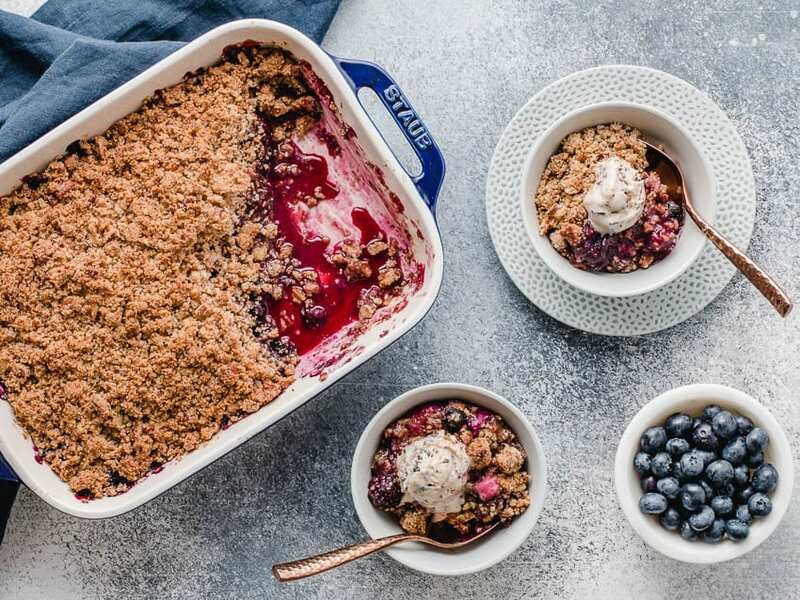 You can store a cooked berry crisp in the fridge for 4 days, or you can freeze for 3 months. When to to eat, its best to thaw and reheat in a 350F oven. This gluten free berry crisp is loaded with sweet berries and topped with a crumbly almond flour and nut topping. It's super easy to make and is the perfect light dessert. To make the filling, mix all the ingredients. If you are using strawberries be sure to chop them up in smaller pieces. Put the filling into a 8x11 inch baking dish. 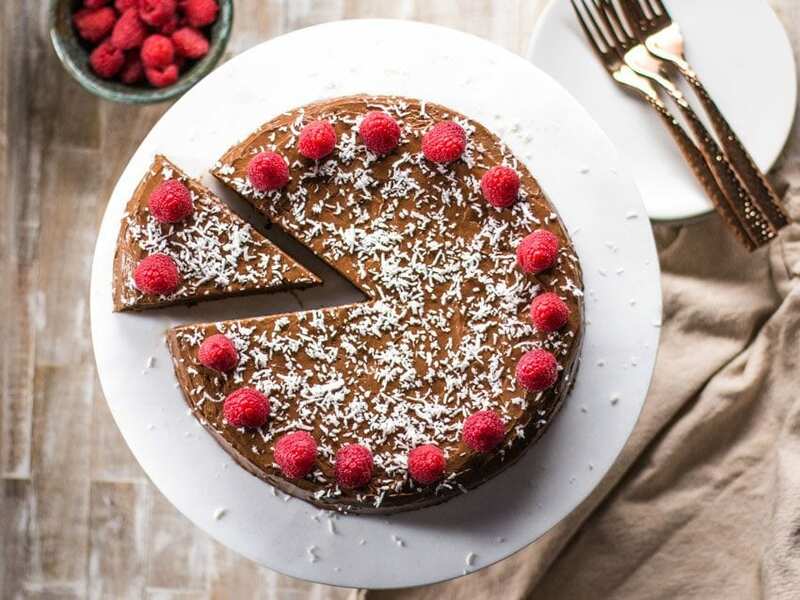 To make the topping, place all ingredients in bowl and use your hands to mix and press the filling so that the coconut oil gets incorporated with the rest of the ingredients and you end up with a crumbly texture. Sprinkle the topping on the top of the berries in the pan, and bake for about 40 minutes or until the topping looks deep golden brown. Serve warm with a scoop of ice cream of your choice.